Mercedes-Benz has developed a new smartphone app that helps motorists decide if they should switch to alternatively powered cars. 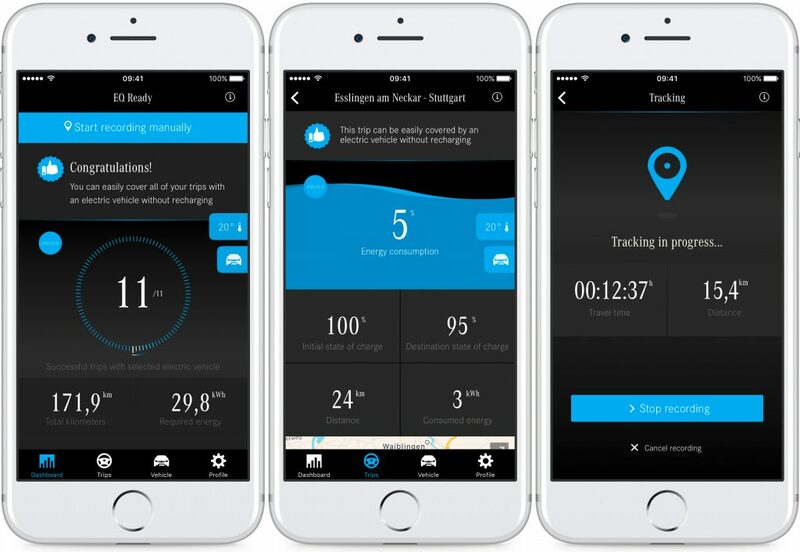 Known as EQ Ready, the app can record journeys made by the user in any make of car, analyse their everyday mobility behaviour and compare it with numerous parameters of electric and hybrid vehicles. Mercedes-Benz says this makes it possible to try out e-mobility in a virtual yet realistic way. The usage profile generated is also significantly more meaningful than a once-only test drive. EQ Ready also shows which alternatively-powered Mercedes-Benz vehicles best match the user’s individual behaviour. The tracking feature records speed, acceleration and stoppages, as well as ambient parameters such as temperature and altitude profile, making it possible to calculate range and energy consumption. Users can also manually enter the location of potential charging stations. In the case of a hybrid, the mobility behaviour evaluation focuses exclusively on all-electric mode. Mercedes-Benz says users can maintain privacy by disabling the tracking feature at any time. The app also regularly reminds users when data is being recorded. Wilko Stark, Head of Daimler & Mercedes-Benz Cars Strategy and Head of CASE (Connected, Autonomous, Shared & Services, Electric), said the app shows electric cars and hybrids in all-electric mode are more suitable for everyday use than most people believe. “Following their personal reality check with our app, even sceptics discover that an electric car or hybrid would satisfy their mobility needs,” he said. The EQ Ready app can be downloaded free for iOS and Android.